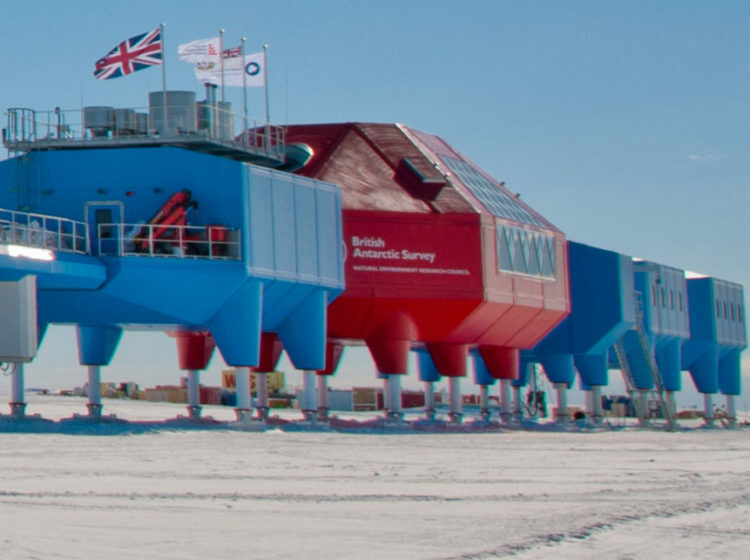 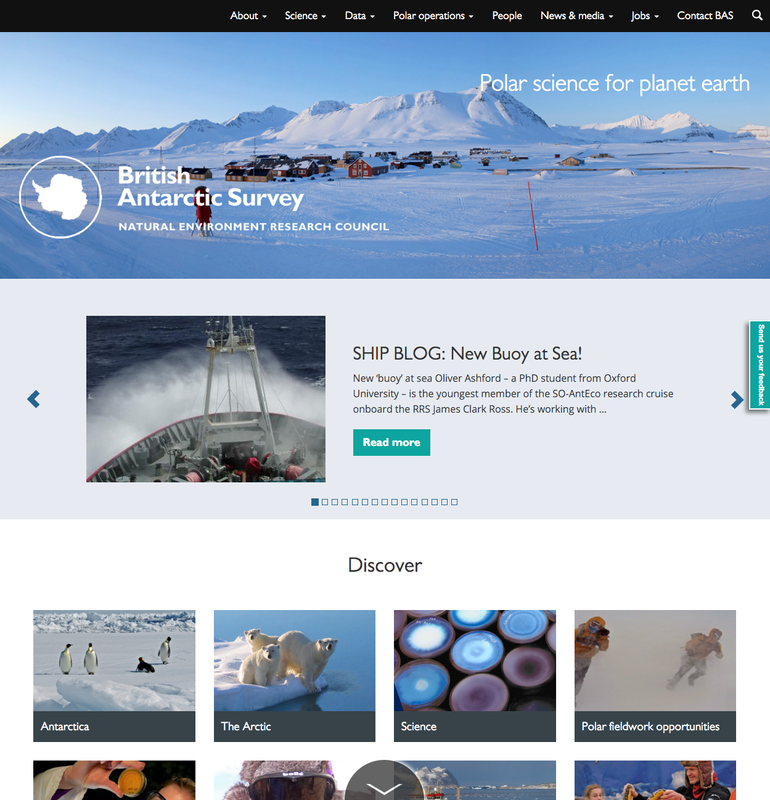 The British Antarctic Survey has many audiences: scientific collaborators, industry partners, potential recruits, policymakers, journalists, and the wider public interested in this incredible continent. 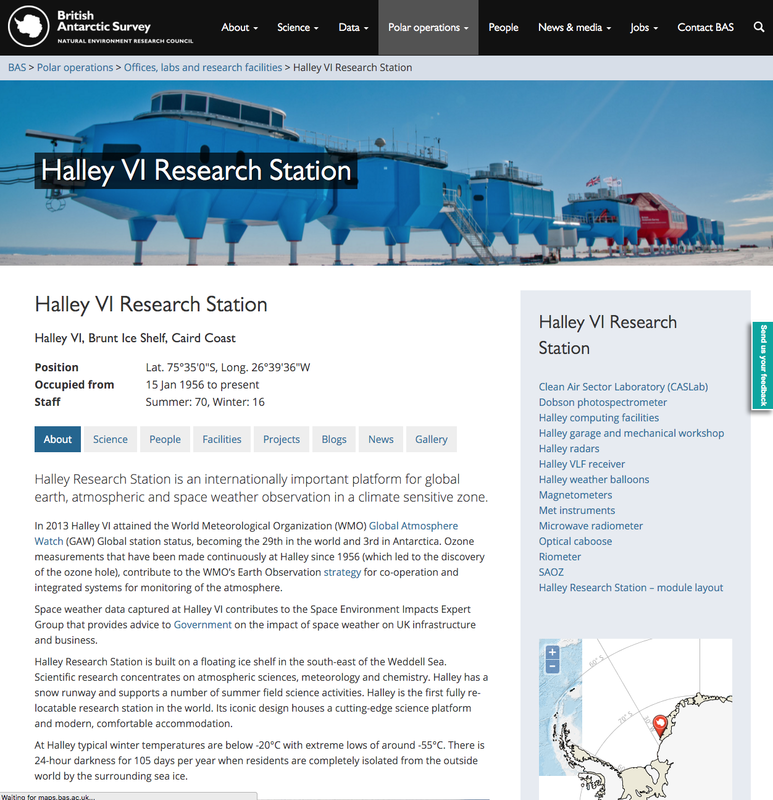 Their previous site was dense, hierarchical and dated, and they chose us from over 100 initial bidders to help them develop a site which was both elegant and technically solid. 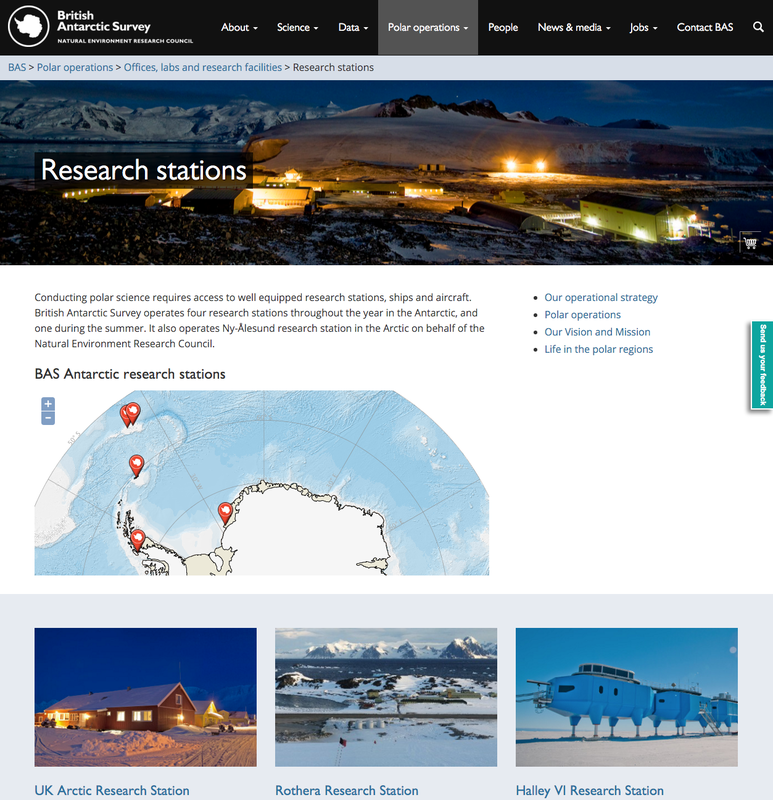 Through reviewing the current site analytics and testing prototypes with users, we’ve refined the site into a flexible, image-rich shop-window for the organisation which has the depth and detail for scientists without deterring lay audiences from finding out more. 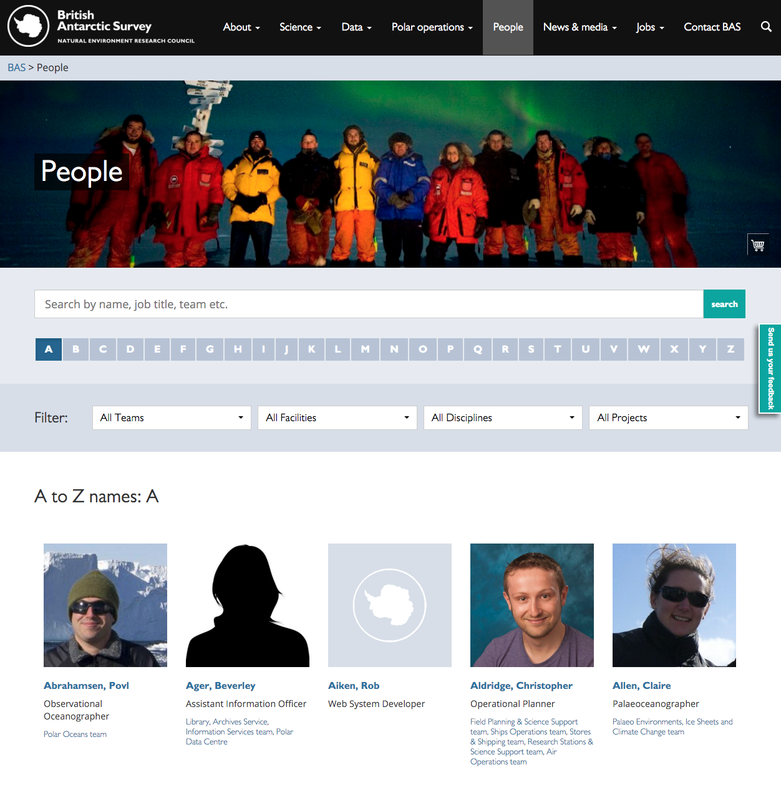 Working with partners Binary Vision we developed quite extensive custom WordPress plugins that pull in data from several sources to build and populate content pages, including separate databases of staff, projects and publications as well as maps. 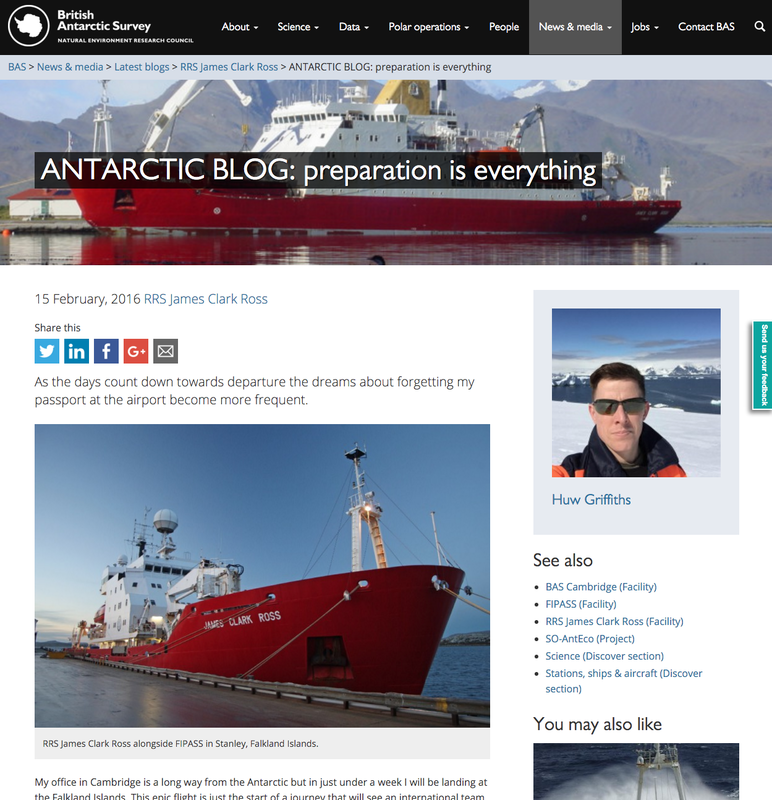 Our migration team moved thousands of content items over to the new site and we've provided ongoing support, hosting and monitoring since launch in summer 2015.